Consulta Meta I.M. Inc. has designed a unique, and results-oriented program, that allows every participant to benefit from positive leadership experiences! This program can develop relationships with other people. It can help in school and with future jobs. Learning from this program can be useful right now, and for the rest of one's life. What each member puts into the program, is up to them. What they share about themselves, is up to them. What they get out of the program, is also, up to them. This an opportunity to learn some basic things that people usually learn the hard way, or... never. There are alternatives, or options, for thoughts, behaviours and consequences. The choice process involves selecting the thoughts, which will produce behaviours, which will, in turn, lead to better short and long-term consequences for the individual, for others, and the situation. We hope every participant puts 100% of themselves into it, and gets 200% more out of it. The choice is theirs! What is Excelsior L.A.M. ? Excelsior L.A.M. (E-LAM) is the Relationship-based Methodology developed by Consulta Mata I.M. Inc. (CM-IM). It categorizes and divides requirements, from beginning to end, into three (3) areas that impact an individual Leadership - Adventure - Modified LRC. Because thoughts determine how we manage our lives, it's important to understand what we think. Then, we can evaluate ourselves and choose those thoughts and behaviours, which have good consequences. Change becomes a matter of retraining our thinking. Actually, thoughts tend to fall into patterns or thinking styles. Behaviour patterns are associated with each style. In other words, each thinking style is manifested in characteristic behaviours. Certain thinking styles produce more effective coping behaviours than others do. Our Methodology fosters the necessary internal and external relationships, by focusing on the management of all related interactions during a given situation. It provides, with proper tools and processes, the steps to take in defining essential programs that, in turn, promote measurable benefits. 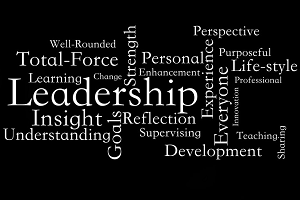 CM-IM incorporates in the E-LAM methodology, its motto: "Leaders in their roles", to ensure that anyone, at any point of the experience, brings out the leadership they have in executing their role. The empowerment of the Leader is supported by interaction management techniques and effective communications links. Please contact us if you wish to learn more about this program.